● Acquired energy-efficient locomotives with several independent engines that turn on and off, depending on power needs and installation of idling-reduction technologies that shut off a locomotive when not in use, resulting in fuel-use savings of about 8,000 gallons per locomotive. Over the past decade, BNSF Railway Co. alone has replaced about 40 percent of its locomotive fleet with more energy-efficient models, resulting in a 12 percent improvement in fuel efficiency. ● Used redesigned rail cars to boost the weight a freight car can carry from 2,222 tons in 1980 to 3,606 tons in 2014. ● Turned to information technology to help calculate the most fuel-efficient speed for runs over a particular route, as well as the most efficient spacing and timing of trains on given routes. Railroads also are training engineers and providing incentives to encourage them to operate trains efficiently. ● Implemented distributed power to reduce locomotive horsepower usage. ● Applied rail lubrication as a way to reduce wheel-rail interface friction and aerodynamic drag-reducing devices applied at the front of double-stacked intermodal trains. Since the Crescent Corridor's 2012 completion, it has hada considerable impact on Norfolk Southern Railway's intermodal traffic. "We believe all our growth on Crescent has been truck traffic," NS VP of Intermodal and Automotive Jeff Heller says. Railroads also have invested in infrastructure capacity as they've prepared for the truck-to-rail growth they know is coming, even if the traffic numbers aren't much to write home about these days. It certainly was part of the impetus for Norfolk Southern Railway’s development of its Crescent Corridor. Completed in 2012, the $2.5 billion initiative opened 30 new lanes of traffic across 2,500 miles and 11 states. The route, which runs from New Orleans to Trenton, N.J., was financed through a public-private partnership among NS, the U.S. Department of Transportation, and the commonwealths of Virginia and Pennsylvania. The public-versus-private cost share for the project was about a 50/50 split, according to NS. A fleet of 28 trains runs along the Crescent Corridor. The project also included development of new terminal facilities at Birmingham, Ala.; Memphis, Tenn.; Charlotte, N.C.; and Greencastle, Penn. At the time of its completion, the corridor would save more than $575 million annually in highway traffic congestion costs, reduce carbon dioxide emissions by 1.9 million tons each year, save more than 169 million gallons of fuel annually, and remove over 1.3 million long-haul trucks from the roads each year, according to NS officials. Since the Crescent Corridor’s 2012 completion, it has had measurable impacts on NS’ intermodal traffic, Heller says. Crescent traffic grew by 13 percent in 2013, another 10 percent in 2014 and 4 percent year-over-year in 2015, even though overall domestic intermodal remained flat last year, as it did industry-wide. “We believe all our growth on Crescent has been truck traffic,” Heller says. And there is potential for more growth through Greencastle, Penn., Hagerstown, Md., Washington, D.C., and Baltimore, he says, noting that NS continues to expand its domestic shipment offerings. And as trucking companies and their drivers face increasing regulation, the potential for moving freight off the highways and onto rail lines continues to grow. For railroads, the challenge in part is to match the delivery commitments and flexibility that trucks offer. 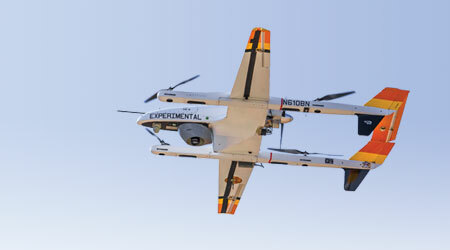 "The key is predictable, on-time service,” says Heller. Meanwhile, BNSF has spent about $3.5 billion in the past two years to expand its Northern Corridor, which runs from Chicago to Seattle. “In just a few years, we have transformed our Northern Corridor into a more efficient trade route,” says BNSF Group Vice President of Consumer Products Katie Farmer. The route moves agricultural products to export facilities in the Pacific Northwest, coal to domestic power plants, petroleum products destined for geographically dispersed refinery facilities, materials that support the production of crude oil in the Bakken shale formation, and consumer products. The expansion has enabled BNSF to offer intermodal service schedules that provide the fastest expedited service to and from Chicago and St. Paul, Minn., to the Pacific Northwest, as well as the only expedited service to and from Seattle, Farmer says. The Class I also has expanded capacity at eight of its intermodal facilities, which included additional production and support track, cranes, and parking as well as expansion of the Logistics Park - Chicago and new wide-span cranes at Logistics Park Kansas City, which opened in October 2015. In 2014 and 2015, BNSF invested $11 billion in its network to improve train flows and efficiency by adding about 190 miles of double-track, about 1,000 miles of centralized traffic control to help manage rail traffic, 16 new sidings and 24 extended sidings. The investments have helped BNSF better serve customers, Farmer believes. “Through March of this year, BNSF intermodal velocity, measured in miles per hour, was 17 percent faster than the average for the U.S. Class I railroad industry, and our on-time performance is nearly 90 percent vs. 77 percent during the same time period in 2015,” she says. This year's challenge? “Continuing to find growth opportunities and making investments in our network that align with the current overall economic climate,” Farmer says. 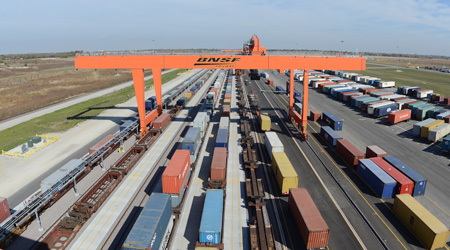 BNSF Railway Co. recently added three more cranes and additional production track at Logistics Park Kansas City. In first-quarter 2016, the Class I’s intermodal volume rose 6 percent — thanks to increases in domestic intermodal — compared with the total for the same 2015 period, as Robert W. Baird & Co. Inc.’s Ben Hartford told Progressive Railroading Managing Editor Jeff Stagl, who wrote the magazine's May cover story on BNSF's domestic intermodal push. And the Class I's "emphasis on intermodal transportation is a vital part of keeping the economy running in a more environmentally friendly way,” says John Lovenburg, BNSF's vice president of environmental. 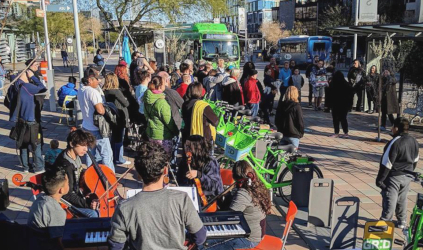 “Transportation is typically anywhere from 5 to 20 percent of a product’s carbon footprint,” he notes, adding that customers can realize carbon emissions reductions of 50 percent to 75 percent per shipment using intermodal vs. all-truck transport. On average, BNSF moves one ton of freight almost 500 miles on a single gallon of diesel fuel — that reduces carbon dioxide emissions by more than two-thirds when compared with trucks on a ton-mile basis. And it means that rail, which carries more than 40 percent of U.S. freight by volume, only accounts for 2.3 percent of all transportation-related greenhouse gas emissions based on data from the U.S. Environmental Protection Agency. BNSF also has focused efforts on reducing emissions at facilities. BNSF was the first U.S. rail carrier to use wide-span electric cranes, Lovenburg says. These cranes, which are used at intermodal facilities in Seattle, Memphis, and Kansas City, produce zero emissions on-site and significantly reduce the number of trucks needed to move containers in the rail yard. They also generate electricity while they work, which recharges internal batteries and conserves electricity. In Q1 2016, BNSF Railway Co.'s intermodal volume rose 6 percent — thanks to increases in domestic intermodal — compared with the total for the same 2015 period. 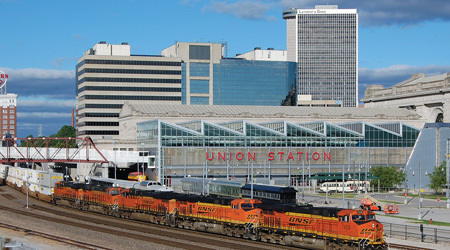 Additional initiatives include the use of automated gates at 10 of BNSF's busiest intermodal facilities to reduce entrance delays and minimize truck idling, and the use of RailPass to allow trucking partners to check in and check out of rail hubs more quickly while also providing drivers easier access to container information. In addition, BNSF’s Intermodal Advisor tool helps customers identify the best intermodal shipping options and builds a custom report that details how partnering with rail can save time, money and positively impact the environment. “Our customers also have access to a carbon estimator tool that allows them to quickly calculate their carbon emissions savings and find out how converting to intermodal can reduce their carbon footprint versus all over the road options,” Lovenburg says. In 2015, BNSF customers reduced their total carbon emissions by more than 34 million metric tons in moving freight by rail instead of road, according to the Class I. That’s a 2 million metric ton of carbon emissions reduction over the previous year, and the equivalent of removing seven million vehicles off the road. “We believe it is good business and good citizenship to minimize our impact on the planet and to contribute to the long-term sustainability of the communities we serve,” Lovenburg says. Short lines also play a role in making rail an environmentally sustainable alternative to trucks by providing customers access to tens of thousands of miles of rail lines running from coast to coast. And it’s a role the leadership team at Denver-based OmniTRAX Inc. takes very seriously with its new “Rail Made Easy” marketing campaign. OmniTRAX owns 20 short lines that operate in 12 states and three Canadian provinces. “We want OmniTRAX to provide door-to-door logistics,” says Peter Touesnard, chief marketing officer. In creating new transload facilities, the short-line holding company aims to give prospective customers not located on a rail line the opportunity to use rail while also leaving the details-handling to OmniTRAX. “It’s an aspirational goal,” Touesnard says. Two years ago, OmniTRAX purchased the Sand Springs Railway in Tulsa, Ok., and started looking at what commodities were moving via truck into the city that could be shipped by rail. So far, OmniTRAX has identified 45,000 potential carload moves in the Tulsa market, Touesnard says. For rail, identifying new markets is crucial. “Coal has been a major foundation of commodities shipped by rail, but it’s obviously going to shrink over time," Touesnard says. Domestic intermodal, certainly, is a potential growth market for many roads. OmniTRAX officials also are exploring "foodstuffs" — Touesnard cites Union Pacific Railroad's recently launched California-to-New York “food train” in partnership with CSX as an example. Such initiatives often require support from short lines. Meanwhile, OmniTRAX is already transloading packaged tomatoes from California and from Colorado. Soon, it'll have a MillerCoors contract with CSX out of Atlanta, as well. Expect the truck conversions to continue, rail marketing execs say. Despite the economic sluggishness that'll linger throughout 2016, domestic intermodal growth is key to railroads' longer-term growth. “Rail is, by far, the most sustainable means of long-distance surface transportation, and we are proud of the role we play in safely and efficiently moving millions of tons of goods across our country every day.” BNSF's Lovenburg says. Deborah R. Huso is a Barboursville, Va., freelance writer. Email comments or questions to prograil@tradepress.com. ● In 2014, U.S. freight railroads were, on average, moving a ton of freight 479 miles per gallon of fuel compared to 235 average miles in 1980, according to the Association of American Railroads (AAR). That’s four times as far as a truck could carry the load. ● Transporting freight by rail is four times more efficient than doing so by truck, the Federal Railroad Administration reports. That means transferring freight from truck to rail could reduce greenhouse gas emissions by trucks by 75 percent. ● A single train can carry the load of 280 trucks (the equivalent of 1,100 cars). If 5 percent of the freight currently moved by truck were transferred to rail, it would result in a fuel savings of 800 million gallons per year and a nine-million ton reduction in greenhouse gases (the equivalent of pulling 1.8 million automobiles off the road), AAR noted in an April 2016 white paper. 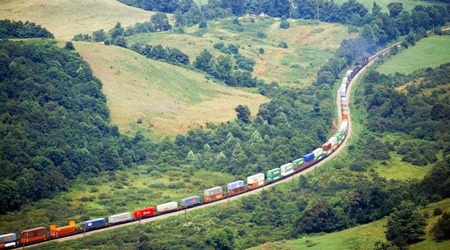 Every container or trailer shipped by rail means one less long-haul truck on the highway. ● In the United States, automobile gridlock costs 2.9 billion gallons of wasted fuel annually. By removing traffic from the nation’s highways, rail can significantly reduce that waste.